The Alberta government's attempt to balance competing interests in the oilsands region has failed to protect aboriginal rights, lands and health from industrial development, says an unreleased report. "What Alberta said it would do and what it actually did are very different things," says the review panel report, obtained by The Canadian Press. A government-appointed panel was struck in 2014 under a provision in provincial law after six area First Nations complained that the land use plan violated their treaty rights. The inquiry report has been complete since July, but has never been released. Its findings are damning. The panel agrees with the Athabasca Chipewyan that the plan doesn't protect aboriginal culture. It concurred with the Mikisew Cree that business was given priority over their constitutional rights. The report says the Cold Lake First Nation is right that the plan creates new conservation areas without reference to traditional use. It finds justified Fort McKay's concerns that the plan has few protection measures and no thresholds for action. It upheld the Onion Lake Cree's contention that the plan has no measures to manage traditional land use. And it agrees with Chipewyan Prairie Dene that the Lower Athabasca Regional Plan has been turned against the groups it was meant to protect, eroding existing traditional use rights and blocking the creation of new areas for such use. The panel discarded government arguments — made by the previous Progressive Conservative administration — that such issues were beyond the review's jurisdiction. "The review panel found that the Alberta argument ... reduced the review panel's role to a point approaching absurdity," it said. The panel made several recommendations. It's "critical" that a health study on contaminants in the Athabasca River be conducted as soon as possible, it said. A baseline human-health study should also be conducted. 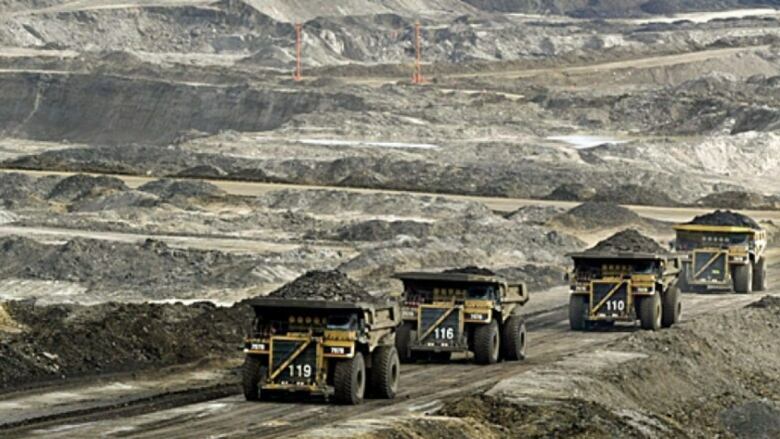 As well, Alberta should stop examining development on a project-by-project basis. "The regulatory regime must look at the overall proliferation of resource development projects and the impact of such major developments on the people living in that area," the panel said. The report should raise questions about the oilsands projects that have been approved since the plan came into force, said Eriel Deranger, spokeswoman for the Athabasca Chipewyan First Nation. "The government knew very well that the First Nations were in the process of challenging (the plan) and yet it was still used as a piece of policy to justify projects. It puts into question any projects now that may be given more leeway because they fall into a region designated as a resource priority zone." Martin Olszynski, a University of Calgary professor of resource law, said the report "validates almost entirely First Nations concerns." He said it also demonstrates critics were right that the government's plan was poorly implemented and almost entirely opaque. "When there are exceedances in air or whatever, it's not clear at all what's going on in government. We still don't have that transparency around how the ambient environment is being managed." Environment Minister Shannon Phillips acknowledged the Lower Athabasca Regional Plan needs work, but said her government won't start over. "There are a lot of babies in this particular bathwater and it is not in the public interest to completely scrap the process. What is in the public interest is to hear loud and clear what is said about the relationship with indigenous people and work together collaboratively in order to improve on those very clear shortcomings." Phillips said there are still ways First Nations can be involved in already approved projects to mitigate their concerns. She added the government will consider the health and environmental studies called for in the report once it is tabled in cabinet. particularly pleased at this state of affairs? No."